From June 2009 to May 2011, Honduras was submerged in a deep economic-social-political crisis that gravely wounded the country’s growth rate and caused foreign investment to plummet. In May 2011, the Honduran government hosted “Honduras is Open for Business,” an economic conference that presented a wide range of projects paired with new legislation in order to facilitate foreign and domestic financing. The HOB initiative may bring USD 14 billion in new investment ventures. However, this may prove to be wishful thinking, with the negative consequences deriving from ‘auctioning’ the country to the highest bidder possibly outweighing the benefits. 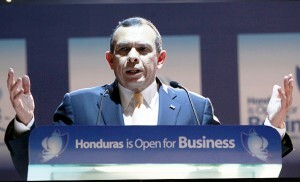 “Honduras is Open for Business” (HOB) was an economic conference hosted by the Honduran government in San Pedro Sula in May 2011. The venture aimed to attract domestic and foreign investment to the naturally beautiful but predominantly poor, corrupt, and insecure country. President Porfirio “Pepe” Lobo Sosa described the event as a “fundamental milestone of the National Program for Investment Promotion which we consider is one of the most important instruments to meet the objectives of our Nation Plan.” He anticipates that the plan will lead to much needed social and economic development in Honduras. If successfully implemented, the project could attract up to USD 14 billion in investment projects from both national and international sources. Although many foreign experts and domestic entrepreneurs are optimistic about this new government initiative, others oppose it, arguing that this is merely another scheme to exploit the country’s resources, debauch its natural beauty by selling its treasures to foreigners, and further concentrate power and wealth in the hands of a few. The HOB initiative consists of a series of new laws and a portfolio of projects that are meant to attract foreign and domestic investment alike. The basic principles followed to create this new environment for investment are production efficiency, social justice, distribution of wealth, and the peaceful coexistence amongst production factors. The Honduran Congress is currently in the process of approving the “Law for the Promotion and Protection of Investment,” which would guarantee capital repatriation, access to foreign currency, equal treatment of the assets of nationals and foreigners, patent protection, and a ban on land expropriation. Capital repatriation is meant to reassure foreign investors that the money they insert into the Honduran economy – including its subsequent profits – will be readily available to take back to their home countries. Giving foreigners the freedom to manage their gains at their own discretion and granting access to foreign currency guarantees are crucial in order to attract new investment. Nonetheless, these guarantees can become problematic in the advent of economic turmoil. For example, during the 1997 Asian Crisis, the signs were clear that foreign capital inflows were being misused in a series of endeavors that would not yield sufficient returns to match payment schedules (similar to the housing bubble that burst in the U.S. in 2007). Companies took on excessive debt burdens, and soon enough, the Thai Baht devalued and interest rates rose; those already in debt saw their profits plummet and their costs skyrocket. Economist Paul Krugman called the Asian Crisis a “Third Generation Crisis” where private-sector balance sheets, especially firms and banks with foreign currency, accumulate debt. Depreciation is then set off by speculative attacks that augment the debt and cause a serious deleveraging problem. As proven by the Asian Crisis, capital mobility may have a catalytic effect during economic crises. Investors thus speculate and freely withdraw ‘hot money’ from countries that they predict might face financial and/or political anguish. The right to repatriation and access to foreign currency guarantees outlined in HOB enable foreigners to withdraw capital upon speculation, leaving Honduras vulnerable to herding effects that could severely damage its economy. Therefore, Krugman suggests a curfew on capital flight to address the issue, which is exactly the opposite of Honduras’ strategy. The “Law for Promotion of Public-Private Partnerships” will enable the establishment of strategic alliances between the public and private sectors, ranging from joint ventures to trust funds. Such relationships can prove beneficial; the private sector will ensure competitive quality, while the state can undertake the large sunk costs necessary for ambitious and wide-scale projects (Sunk costs are costs that cannot be undone, a potential barrier to entry that keeps firms from gaining access to an industry). Other laws contained in the National Plan include the “Free Trade Zone Law” and the “Free Tourist Zone Law,” which aim to promote trade and tourism in Honduras, respectively. Both laws have the potential to promote growth and development in the country. Nevertheless, they create the problem that government revenue will be nullified by the full exemption of customs duties, consumption, production, and even sales taxes in the trade and tourism sectors – strictly limiting the ability for the government to collect revenue. HOB will provide tax benefits for investors, which include priority interest rates, and tax exemptions for both imported and national goods. These tax conditions will be guaranteed for fifteen or more years for those who invest over USD one million. However, these tax benefits are the most controversial of all the provisions in HOB. These exemptions create a loophole for investors to avoid taxes on the profits/value – added on services and products that they export to and import from Honduras. This is a matter of great concern because it narrows the country’s tax base and limits governmental income. In addition, the tax provision mostly benefits wealthy investors because they are the ones who have the means to heavily invest. Meanwhile, small and medium enterprises (SMEs), who already struggle to stay afloat, will continue to pay taxes, resulting in a system of regressive taxation. Tax exemptions have been a problem for decades in Honduras; extending their tenure will only further decrease government revenue. If the HOB initiative fails to expand the government’s tax revenue, and narrows rather than expands its tax base, there will be insufficient funds to invest in social projects, resulting in negligible wealth redistribution. Honduras’ GDP growth rate reached 2.8 percent in 2010, rebounding slightly from its disappointing 2.1 percent in 2009, when the country was already submerged in economic problems due to the global financial crisis. In addition, as a result of the political crisis that reached its climax on June 28th, 2009 with the ousting of former President Manuel Zelaya, the international community decided to exert maximum economic pressure to sanction the provisional government led by Roberto Micheletti. Central American countries imposed a 48-hour blockade on trade with Honduras, while Venezuela, a vital source of cheap oil, halted its supply. Meanwhile, the European Union suspended USD 93 million in budget support, the U.S. cut USD 33 million in aid, and international financial institutions put holds on about USD 485 million in transfers. Given the global financial crisis, investors were already hesitant about new ventures in any country, and Honduras’ social-political-economic crisis undoubtedly drew a red flag that scared away investment, further deteriorating the already dire circumstances. The crisis was a wake-up call for Honduran policymakers and a primary reason why HOB came to life in the first place. Macroeconomic theory explains that investment drives growth and thus increases the productivity of both capital and labor in an economy, enabling the advancement of industries and hence the accumulation of wealth. The Honduran investment initiative is similar to the East Asian Tigers’ Export Oriented Industrialization (EOI) efforts during the 1960s and 1970s. Unlike Brazil and Argentina, whose Import Substitution Industrialization (ISI) strategies proved unsuccessful, South Korea, Hong Kong, Singapore and Taiwan focused on massively producing goods for which they had a comparative advantage, and then exporting them to sizeable markets where demand was high. These goods were often low-tech, labor-intensive products that could be easily manufactured in these countries given their factor endowments. Contrary to popular belief, EOI was not a matter of simply opening countries to all foreign investment and trade opportunities. The governments were deeply involved in pushing specific industries considered key to their development, such as South Korea’s chaeobols that macro-managed and supported particular industries (i.e. Samsung, LG, Hyundai). Honduras appears to be making the right choices by focusing on EOI-like initiatives that have worked in the past. Moving away from traditional ‘banana-like’ endeavors should be a prime goal for policy-makers. The government must carefully pick the industries it will selectively support, and the strategies to do so. If revenues from the new growth initiatives are not directed towards expanding industries, wealth redistribution, and improving living standards and education, as was the case in South Korea, then true development will prove elusive. The Organization of American States (OAS) recently declared that Honduras has officially overcome its political crisis after ex-President Zelaya returned from exile in the Dominican Republic. Since he took office in January 2010, Pepe Lobo’s efforts have been channeled towards restoring Honduras’ reputation in the eyes of the international community. A group of diplomats have taken on, and succeeded at, the task to legitimize the current government. Honduras was readmitted to the OAS in June, with only Ecuador voting against its reinstatement. HOB is part of these efforts to render Honduras attractive to the world once again. Washington is among the supporters of HOB. Hugo Llorens, the U.S. Ambassador to Honduras, has expressed the belief that “the Honduran economy is recovering from the effects of the global crisis and the political crisis and [they] have already seen a substantial upturn in economic activity and domestic confidence. All these signs point to a greater economic takeoff in 2011.” The U.S. has had a longstanding relationship with the Central American country; for Honduras, the U.S. serves as a key trading partner, a major source of foreign investment, a main aid benefactor, and its primary security backer. This symbiotic relationship has often been the subject to criticism, with some claiming that Honduras is too dependent on the U.S. Of course, the U.S. sees HOB as a lucrative initiative aligned to its liberal ideology of open trade and unfettered capitalism. Several members of the Honduran business community are optimistic about HOB. Mario Bustillo, the Executive Director of the Chamber of Commerce in Tegucigalpa, told COHA in an exclusive interview that, “HOB is a good start; there is a wide array of projects available for both public and private investment. However, there is a need to follow up with relevant strategies, and see a compromise on the side of the government who must remain consistent in its support of these investment strategies.” These undertakings are beginning to pay off; on June 14th, just a month after HOB’s enactment, Standard and Poor’s rating agency raised their rating outlook for investment in Honduras from stable to positive. This rating upgrade was due to improved investor confidence since Lobo’s election, as well as increased confidence in the country’s pegged exchange rate. HOB’s opponents include the Frente Nacional de Resistencia Popular (National People’s Resistance Front – FNRP), weary businessmen who have lost hope in government initiatives, and plenty of human rights advocacy groups. The FNRP, whose members primarily support former President Manuel Zelaya, accuse the Honduran ‘oligarchs’ of being too submissive when it comes to foreign intervention. 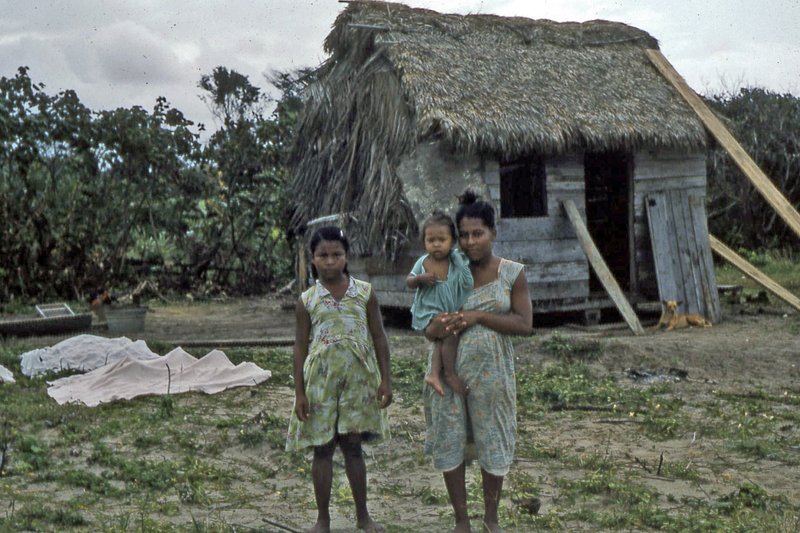 They claim it to be a historical trend in the country, exemplified through the cases of the “banana enclave, the textile factories, franchising, and many others.” Meanwhile, human rights advocacy groups have been fighting for the rights of peasants in the Aguán Valley, where up to 80 deaths have been reported since peasants clashed with a corporate magnate over land rights. These advocacy groups believe with strong conviction that the HOB will only facilitate a continuation of the big shots’ historic abuses of peasants’ rights, and open the country for ‘plunder’ rather than sound business development. Security is also one of the major obstacles that will certainly hamper HOB’s success. Kidnappings, drug trafficking, and street crime are overwhelming the country more than ever before; pervasive fear is a feeling that most, if not all Hondurans are forced to live with as part of their daily lives. In April 2010, the UN Refugee Agency (UNHCR) declared Honduras, along with Mexico, as two of the most dangerous countries in the hemisphere; the two countries recorded the highest amount of journalist assassinations in the Americas. Fourteen journalists have been killed since 2009 in the country. Meanwhile, kidnappings are on the rise, and the Honduran police force has been directly linked to their planning and execution. The lack of security that endangers both nationals and expatriates could be a major deterrent for HOB, whereby even Hondurans are looking to migrate, whether legally or illegally, in the hopes of finding opportunities to resettle elsewhere. HOB has been widely praised amongst the international community. Taiwan, who has had an almost carnal relationship with Honduras, and which had sent twenty delegates to HOB, already vowed to provide USD 10 million in loans to companies looking to purchase Taiwanese machinery. New relationships are also being built; not long after the HOB conference, Jordanian investors expressed their interest in purchasing Honduran chicken and other meat products. While the U.S. may be an enthusiastic backer of HOB, opinion among Hondurans is divided: there are those who believe HOB is finally a solid step towards development, but there are also many who are dubious, wondering if this is yet another flawed government initiative that will simply ‘auction’ the country to the highest bidder. HOB is a theoretically smart investment strategy, but may not be ideal in practice. During the “Honduras is Open for Business” event, the Lobo administration sidestepped the pervasive problems of corruption, insecurity, and preferentiality, which continue to haunt any attempts for sustainable development in the country. The tax exemptions outlined by the model and lack of focus on grassroots development makes HOB fundamentally flawed. Hopefully the Lobo administration, and those that follow, will give continuity to HOB and ensure that some of the profits derived from these initiatives are actually invested in the future and well being of the entire population. Hondurans cannot merely conform themselves to any kind of investment – they need the right kind of investment to flourish. Although proponents of HOB argue that it will help everyone by generating employment opportunities for the poor, it should also empower them, not just providing jobs that often have inadequate working conditions. For private investment from within Honduras to grow, initiatives have to be aimed at stimulating small and medium enterprises (SMEs), as well as micro financing. As it stands right now, the largest benefits will be directed towards a handful of domestic investors who can invest more than USD one million, along with a number of foreigners whose daily lives will remain unaffected if the plan fails to live up to its expectations.